Mike Matheny brought in the wrong pitcher in the bottom of the ninth inning. The hosts of last night’s show believe Fernando Salas was the right move given his track record last season. Yes, Salas did step up and save this team’s season by assuming the closer role mid-year – after not even making the Opening Day roster. But that doesn’t speak to Salas’ season thus far. The enigmatic right-hander has been somewhat effective, but he’s been anything but lights out. And let’s be clear – lights out is exactly what the Cardinals needed in that moment. When Salas entered the game, the Reds had runners on first and second, one out, and Heisey at the plate. A hit would win it for the home team. It was time for Matheny to bring in his best shutdown, strikeout, etc. pitcher. That is Jason Motte. I know, I know…it wasn’t a save situation…but who cares? And yes, Motte had pitched the night before and Matheny wants him available for the home opener this Friday…but 1) If the team had gotten the lead in the 10th, you better believe Motte is pitching the bottom of the inning anyway…2) It’s the beginning of the season and Motte hadn’t pitched much to that point – he’s fine…3) The team gets a day off on Thursday. 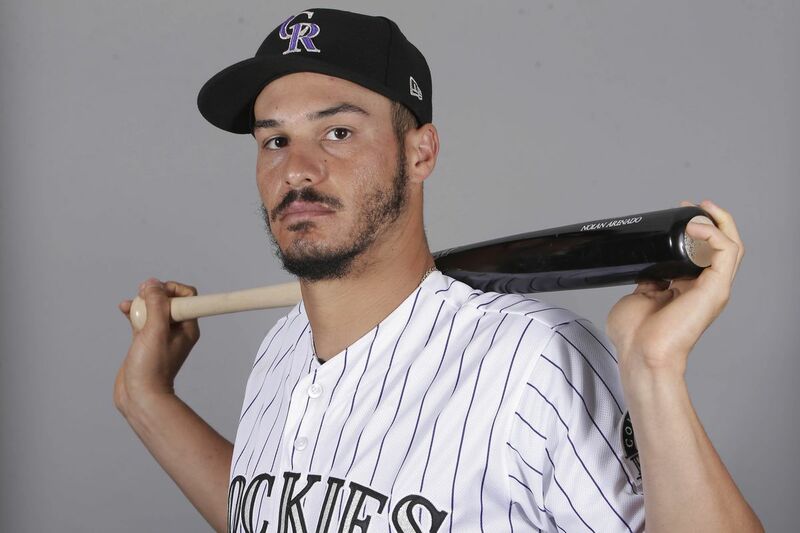 Look…bottom line for me is this: I like Salas, but I like him a lot better with no runners on base and starting an inning with room to work. When he’s off, he’s entirely too hittable…and his recent work seemed to suggest he wasn’t 100% “on” quite yet. If you have men on base and you need an immediate lockdown…you bring in your best pitcher with the highest likelihood of providing that result in that situation. That was Jason Motte. Bring him in for a couple batters, and then if you get the lead, pitch Salas for the save. Matheny was brilliant up to that point. I loved all of Mike’s other moves. Leading off with Robinson at one point was the perfect choice. Allowing Jaime to work out of multiple jams but then pulling him after the bunt hit. Pitching K-Mac for two innings. Resisting the urge to put Beltran and Freese in the lineup and therefore giving them a day off before the home stand. And saving David Freese for the perfect at-bat late in the game against Chapman with a man on. I used to hate it when TLR would lead off an inning with his best RBI bench bat. Good to see Matheny get it right there – regardless of yesterday’s results. 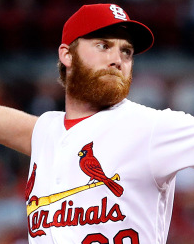 The Cardinals’ bullpen is looking pretty good, actually. The hosts last night mentioned that the ‘pen looked a bit shaky early in the season. I disagree. I think the ‘pen is looking strong, dependable, reliable, etc. But what I think the hosts and many other fans are noticing is an adjustment period and a bit of extended Spring Training on the fly. There are a lot of guys trying to figure out roles, get comfortable, fine-tune pitches/mechanics/etc….and overall, the results have been promising. The two pitchers I’ve been most impressed with, actually, are the very two I was most concerned with early in the season – Boggs and Motte. Boggs has been plagued by inconsistency…but he’s been outstanding every time out. Motte has historically started slow and required time to build up his fastball’s velocity…but not this year. He’s already got two saves in two chances right out of the gate, touching 97 and 98 on the gun. All in all, things are looking good in the ‘pen. That being said, there are some concerns. You never have everyone pitching lights out at the same time for very long. The Cards are bound to have their issues. Romero, for example, hasn’t shown much in the way of effectiveness. If he can’t get that figured out soon, the Cards are going to need a second lefty via the trade market. And Salas is struggling a bit…but I really feel that he’ll get that straightened out all on his own. But if he doesn’t…either Carp or Linebrink will take his spot on the roster soon and send him packing to AAA. It’s clear Matheny – by previous comments and current patterns of use – has a strong positive opinion about Marte. Notice I didn’t list Kyle McClellan among those pitchers I’m concerned about? Hey…let’s be real for a minute. If K-Mac’s strikeout stands in his first appearance – the one where Yadi couldn’t find the ball – his outing looks drastically different. Suddenly, he has no men on, two outs, and I’m betting he gets out of the inning looking pretty good. And his appearance yesterday was outstanding. Again, I think McClellan is dealing with a bit of 2011 hangover. The guy was great for about eight starts…and then he started succumbing to the innings load and role change. We all saw it coming and expected it…but everyone acted surprised when it happened. Give K-Mac a break…he’ll be fine. Jaime Garcia has taken an important step forward. He showed a lot of maturity recovering from a couple bad breaks and getting out of some critical jams to keep his team in the game…but his outing should still have gone differently. For whatever reason, Garcia appears more aggressive and focused at home…and bit more cautious, hesitant, and flighty on the road. He doesn’t have “blow you away” stuff…his velocity doesn’t touch 95, he doesn’t have a knee breaking curve ball…but he’s got good, get-you-out stuff that is excellent when he’s aggressive and throwing his pitches with conviction. He needs to figure out how to do that on the road if he’s going to continue to improve. But he showed a lot of maturity in yesterday’s game. He deserved a better outcome. 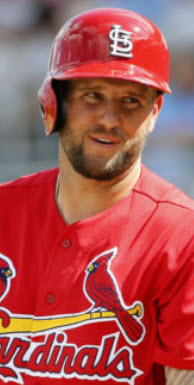 The Cardinals can actually let Skip Schumaker heal 100% before activating him this time. 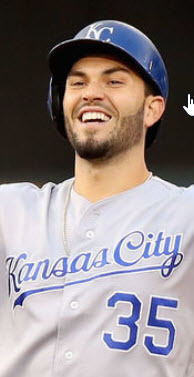 I think it was last season…maybe not…that Skip found himself on the DL early on and was rushed back to the roster because of Punto’s injury, etc. The result wasn’t pretty. Skip struggled badly at the plate and really showed a need for an extended minor league rehab assignment before seeing MLB pitching. This year, however, things look a bit different. The discussion on the show last night, during the game yesterday, and all over internet forums is focused on what to do when guys start coming off the DL. Essentially, the belief is that Komatsu, Descalso, and Carpenter make Schumaker redundant. In a while, that may very well be true – unless something else happens to someone – but for now, that’s a positive. Finally, Skip can be allowed to recover from an injury in the right way and take his time coming back. When he finally steps in the box at the MLB level, he should be ready to go and contribute. Leave David Freese alone! I heard one of the hosts – I believe it was Corey? – suggest that David Freese’s future may include playing first base on occasion to open up third for Zack Cox. Bad, bad idea. Leave Freese where he’s at and let the Cox situation play itself out. Look…Cox is not the third baseman that Freese is in the field. If you move David to first and put Cox at third, you suddenly have a third baseman playing out of position at first and a sub-par third baseman at the hot corner. Your defense is weakened. Also, that situation suggests the team doesn’t have a viable first baseman on the team capable of elbowing all comers out of the way. That’s a bad development. If the team has to move David Freese to first base to make room for Cox at any point in time…you have to ask the question, “Who wasn’t good enough to hold onto first base every day?” Bottom line, either Craig or Adams is this team’s future at first base. Or a slammin’ free agent. Personally, I think the 2014 lineup could look like this: 1. Jon Jay CF, 2. Allen Craig RF, 3. Matt Holliday LF, 4. Matt Adams 1B, 5. David Freese 3B, 6. Yadier Molina C, 7. Tyler Greene/Daniel Descalso 2B, 8. Ryan Jackson SS. But that’s just me. Maybe Pujols and TLR leaving was the best thing for this team…at least in 2012. 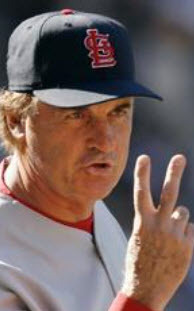 Is it possible that retiring at the end of the 2011 season was, in a manner of speaking, Tony La Russa’s last strategic move to position the Cardinals for a winning season in 2012? A lot of people are saying that Pujols leaving will ultimately prove the best thing for the team going forward from a payroll/competitive standpoint. 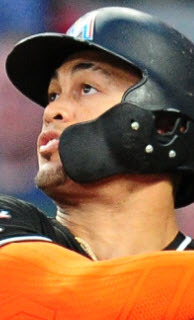 But what if the very fact that Pujols left – and TLR before him – was the best thing in the short term for this team strictly from a vibe, attitude, etc. position? Many – myself included – have noted the visible vibe surrounding this team as they push for respect and recognition in their pursuit of a repeat (Could we call this team STL Cardinals R3?). Even Buster Olney tweeted about it. 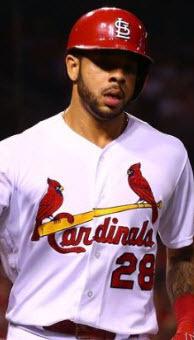 With all of the national pundits suggesting the Cardinals may not have enough offense, pitching, and/or leadership with the absence of Pujols, Tony, and Papa Dunc…the Cardinals still in St. Louis are taking it personally. When it’s all said and done, Cardinal Nation could be looking at the departure of the franchise icons as the single most important motivating factor behind the 2012 season. Alright…that’ll do it for today…and believe me, that’s plenty! Enjoy the off day and get started on those Opening Day preparations. The STL Home Opener is right around the corner! 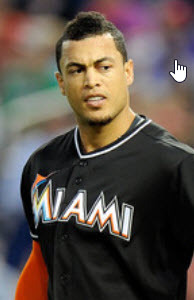 « 2012 MLB Division Snapshot: Will, Won’t…Might?